It is hard to believe that somehow an idea and need I had 10 yrs ago has developed into something inconceivable a decade ago. I'm proud of all the hard effort our employees have poured into Peaksware over the last decade and am especially thankful for all the support provided by our customers. 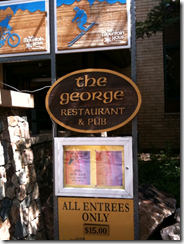 Ten years ago, TrainingPeaks got started with a conversation between myself and Gear Fisher at a bar in Vail, Colorado called The George (ironically Gear’s real name). Within three months Gear had built a very powerful web-based system for myself and my father, Joe Friel, which allowed us to manage our coaching clients. Thanks to all of our partners along the way as well. We couldn't have done it without the entrepreneurial spirit displayed by endurance coaches and the dedication of their athletes. It feels great knowing we have played a small part in helping thousands of athlete's reach their dreams. Many of those same athletes have turned to our Professional Edition software to help them launch coaching companies in order to help others. Millions of workouts have been recorded and are safe and sound. If you recorded a workout a decade ago it is still accessible today. Just login and take a look. Our focus is to be able to say the very same thing decades off into the future from now. TrainingPeaks recent blog post about our anniversary can be seen here.